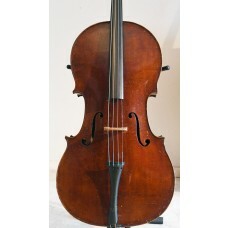 A fine old German Hopf cello..
A beautifull old 4/4 Hopf cello, made in Germany by the famous Hopf workshop. 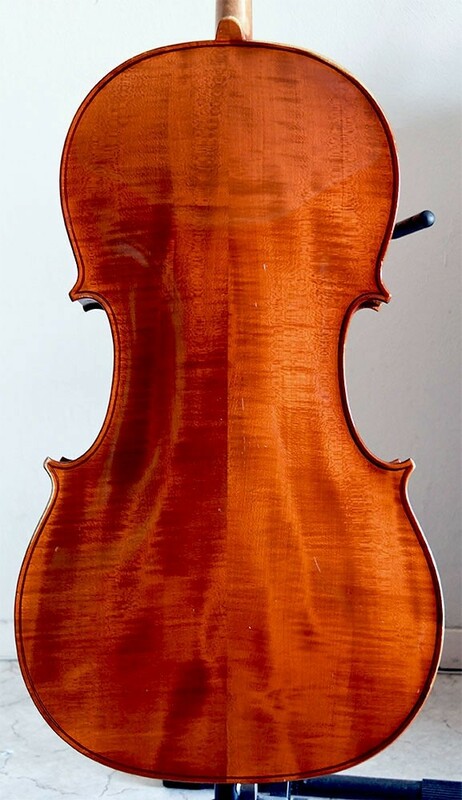 Orignal label inside 'Hopf Werkstätte - 1980". 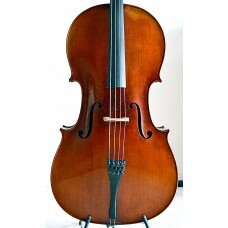 This beautiful cello is a good sounding instrument. 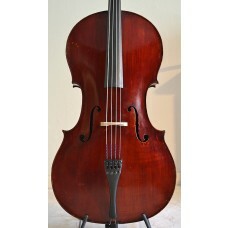 A good 2-piece maple back, medium-flamed ribs, and a well made round and elegant scroll. 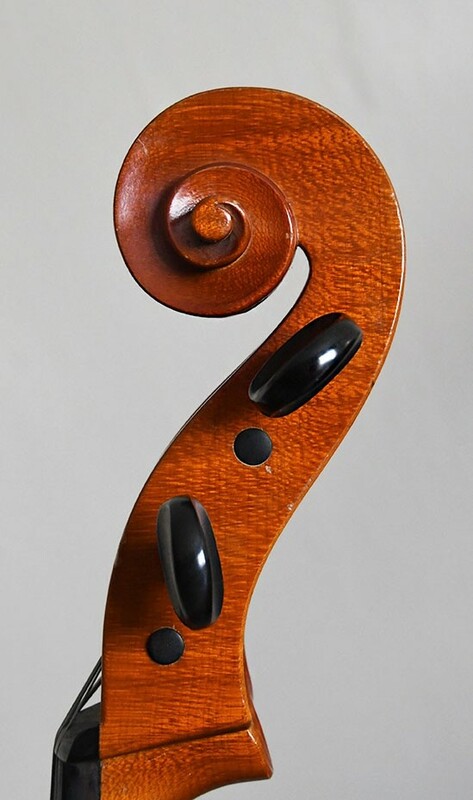 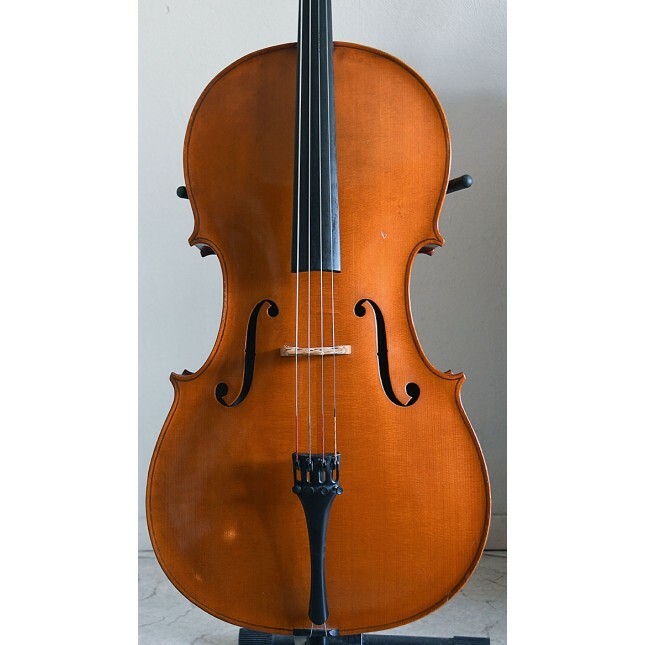 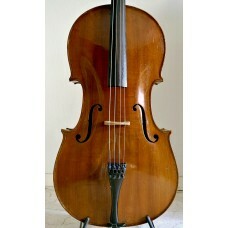 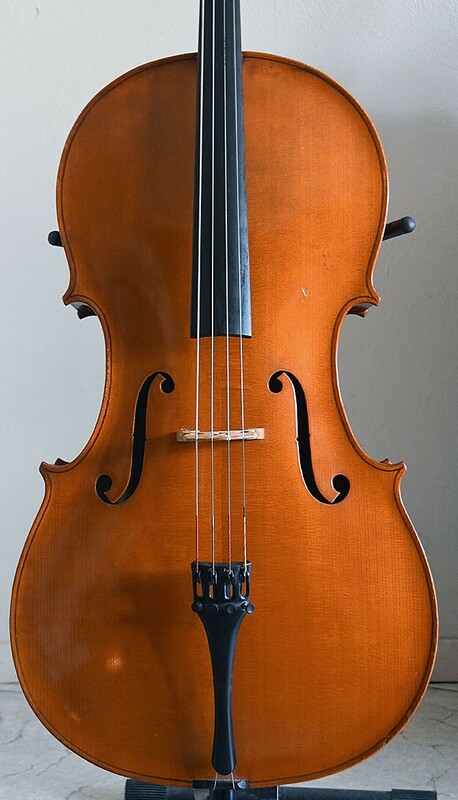 a perfect cello for the advanced cello-student. 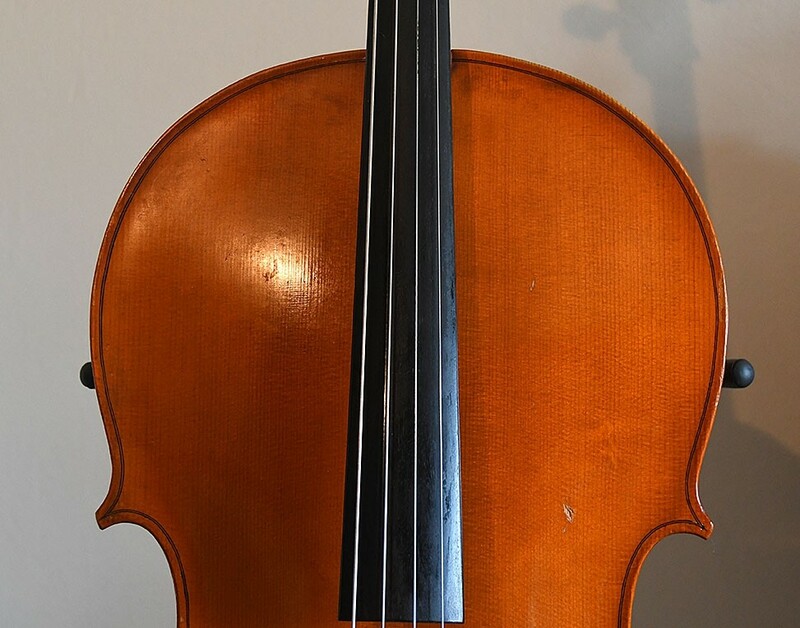 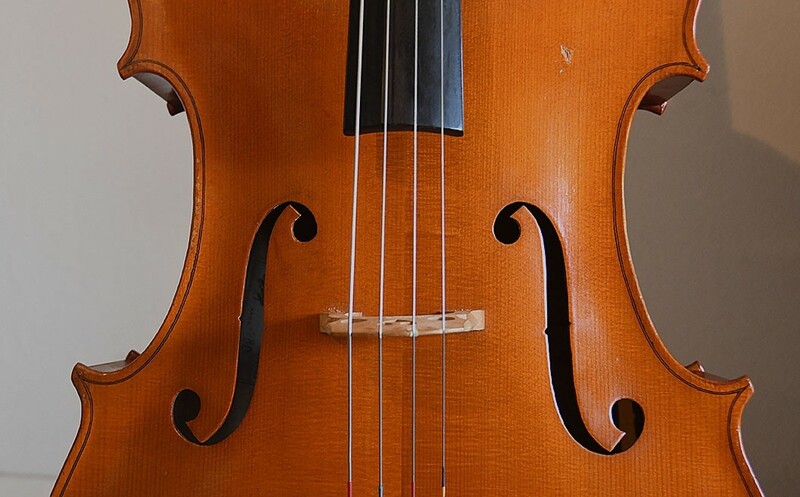 This Hopf cello is in good structural condition, no cracks or repairs.